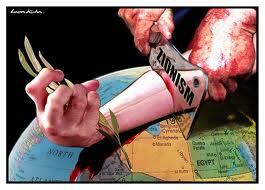 The history of Zionism is a litany of lies. From the fake Holocaust by the Zionist stooge Adolf Hitler, to the real but denied Palestinian Holocaust the entire history of the Jewish state is one of deception and brutality. And before the Israel lovers jump down my throat and call me an anti-semite, the Palestinians are semites, the Israelis are Khazars and have no business being in Israel in the first place.